If you’ve got some asses that need kicking, Christmas comes early this year. Jason Bourne is back, with a sack full of fuzzy memories and furious fists. Star Matt Damon and director/co-writer Paul Greengrass return to the franchise after nearly ten years, trading some of the emotional depth of the previous films for a stab at new relevancy and two of the most effective action sequences of the entire series. 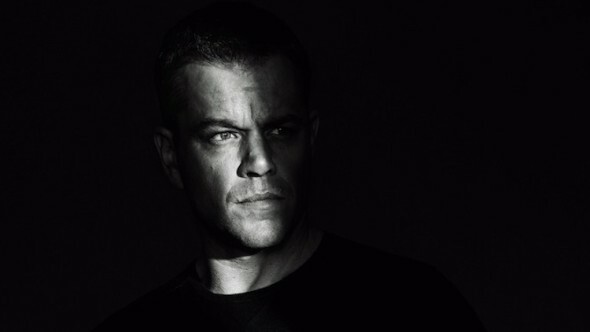 Since we left him at the end of Ultimatum, Bourne has basically been wandering the Earth like a violent Caine, grabbing cash in back alley fights across the globe. Old friend Nicky Parsons (Julia Stiles) tracks Bourne down to deliver more clues about his past, with CIA director Robert Dewey (Tommy Lee Jones), cyber division chief Heather Lee (Alicia Vikander) and the agency’s favorite assassin (Vincent Cassel) close behind. Timely? You bet, but this layer isn’t explored as deeply as it could be, even as Bourne catches up with a whistleblower who is “worse than Snowden.” As it moves on to the next fistfight, the film sometimes feels like its running in place, content to feed the formula without a large chunk of the human element that drove it. Still, this director/star tandem can run pretty well. Damon’s brooding-yet-vulnerable intensity makes Bourne an effective anti-hero who’s easy to root for, and Greengrass is still a master of shaky cam tension. An early sniper showdown delivers sharp, hold-your-breath action, and the climactic car chase through the packed streets of Vegas is over-the-top spectacular, with a well-placed sign for self-parking becoming the exhale-inducing coup de grace. It’s repetitive in spots, a bit ridiculous in others and slightly overlong, but Jason Bourne reclaims its legacy with a keen eye toward landing one last thrill before the theme park of summer shuts down.